The vehicle is loaded and tomorrow we will be Nashville-bound! It looks like Mother Nature is going to make this trip a bit more challenging...ugghh! We are in a winter storm warning today, lots of heavy snow predicted for today. 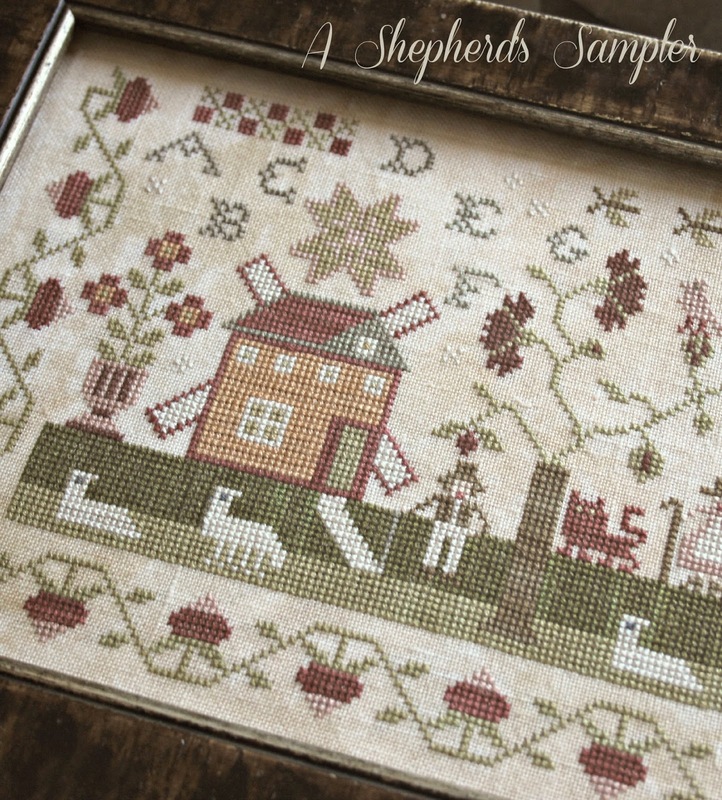 I'll be releasing 11 new cross stitch patterns at the market and am sharing little snippets of the final 5 designs...enjoy! Things are quite "Bizzy", lots and lots of new patterns coming together. Nashville market is the buzz and I currently feel like a little worker bee! I do sort of see a theme here with the upcoming Nashville releases..bees, fruit & flowers! Bees are said to have knowledge of all secrets, as well as the gift of foreknowledge or seeing the future. They are also considered to be divine messengers...their buzzing to be a song of praise. 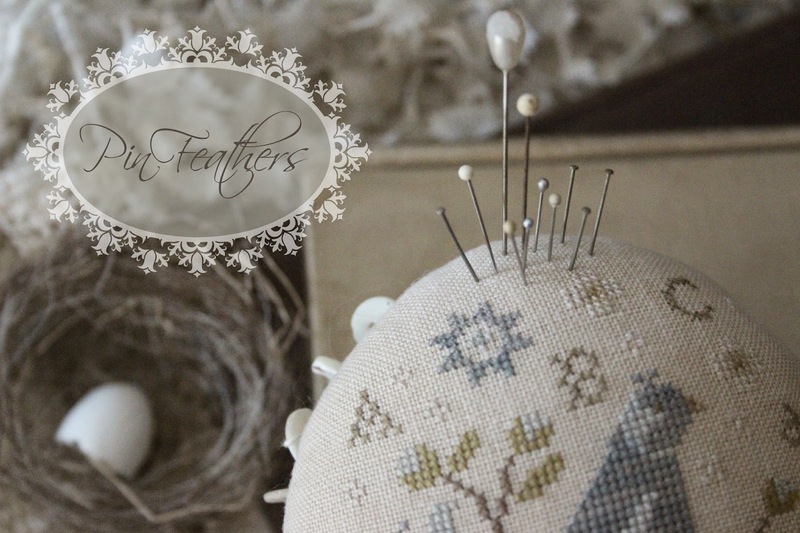 They seem like perfect little motifs to stitch...I like their story, I like how hard they work! 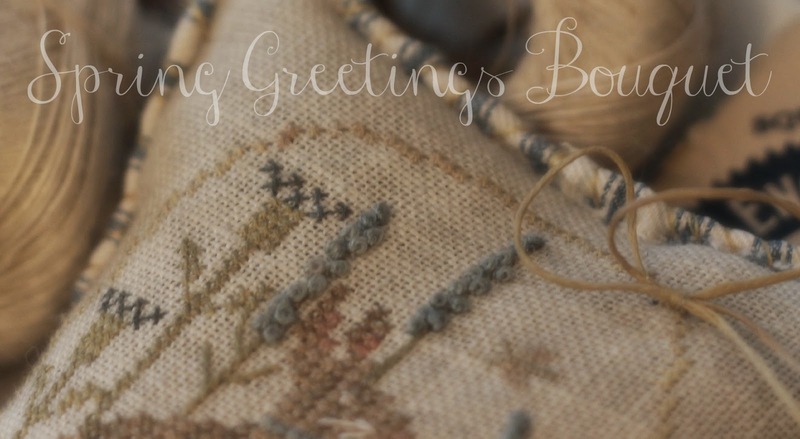 For those of you who stitched the "Gardener Goode Witch" and "Christmas at Winterberry Cabin", this is the spring/summer version to that series. It is the last piece to stitch before market. I know, I know...time is ticking! 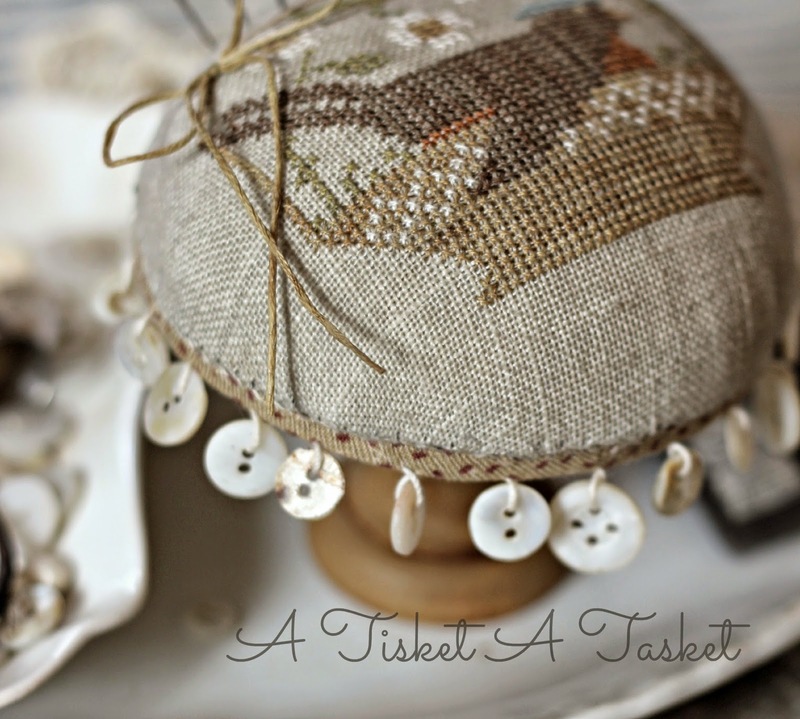 I usually don't have a finish in mind when I start stitching. 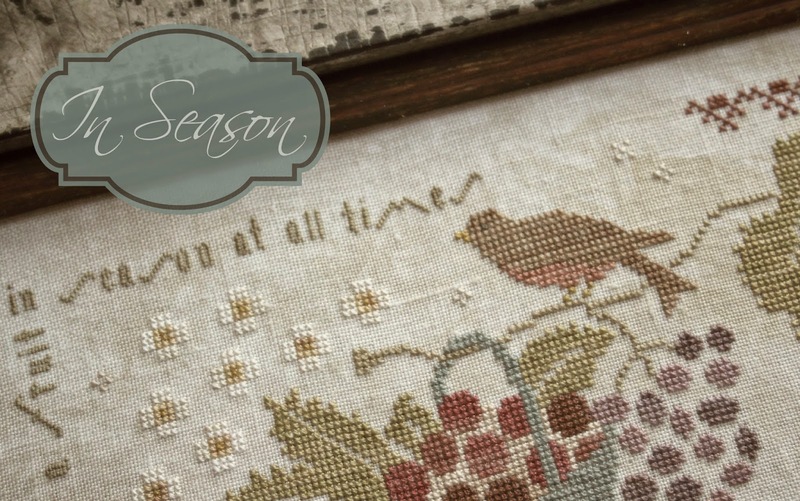 My mind usually wanders to title and finish, in hoop, as I stitch. 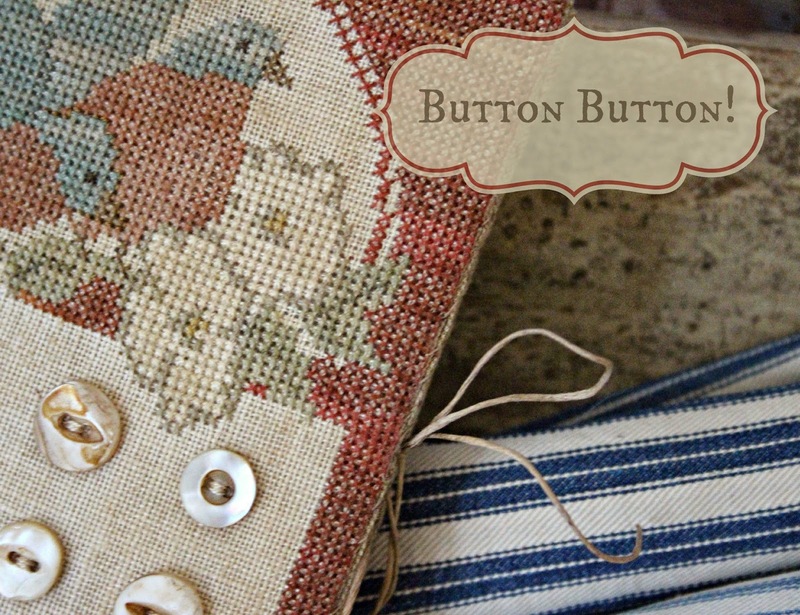 I am thinking... rather then rusty bell finish, as the other two in this series have, perhaps old mother of pearl button trim and maybe even toss in a bee charm or two...something a bit more "Springy". I am stitching this on a 40 count rather then the 32 count and it is going to be small & sweet as honey...perfect for tucking on a cupboard shelf or trencher bowl. 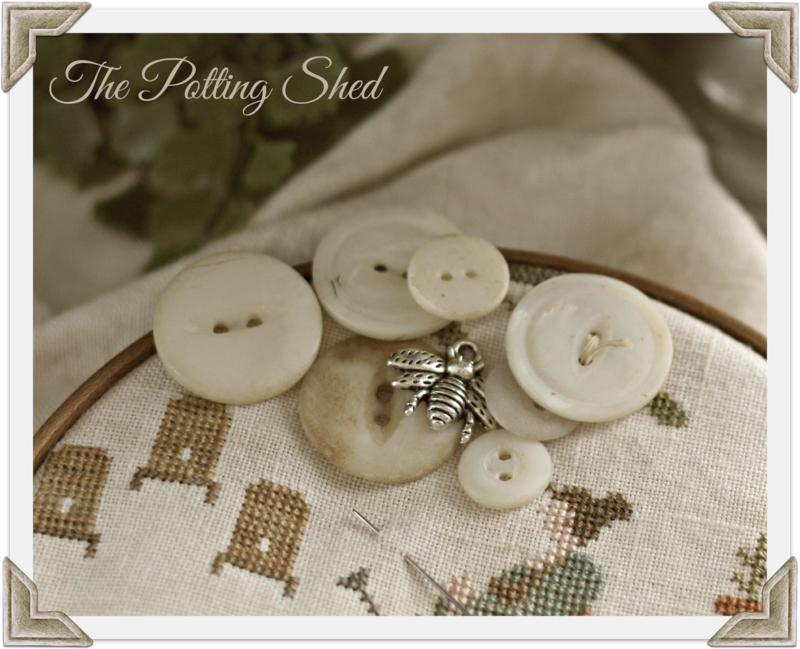 It shall be titled, "The Potting Shed"
just something to tease and whet your needles appetite!! We had a good old fashioned winter storm over night...looks to be 7" or so of new snow.